This is one of the most magical, powerful lunations of the year in my opinion and at 16° 01′ Scorpio on 5 May 2012, 08:35 PM PDT this Full Moon is no exception. Even though Earth always conjoins the Moon when it is full, if Earth is the ruler of Taurus it makes this a very special lunation indeed. There is nothing ephemeral about the Full Moon in Scorpio. It is very real, passionate and deeply involved with life in the most essential ways – birth, death and regeneration. The old feminine archetypes rule and we celebrate the mysteries whose origins are lost in time. I love thinking about Earth, or Gaia, conjoining the Moon, bringing to mind the power of being able to create new life. This is the perfect time to pay homage to our Mother and acknowledge our unending debt of gratitude to her. And to remember why it is not a good idea to cross Her . . .
Pluto, Scorpio’s ruler, is part of an amazing Grand Kite pattern along with Mars in Virgo and Ceres in Taurus. Chiron in Pisces is the planet opposing Mars in Virgo, sextile Pluto and Ceres making this a Grand Kite. Grand Kites have a bit more punch than Grand Trines because of the opposition. Mars in Virgo is the “arrow” and the focal point. In many ways, this is the perfect pattern to help us delve into our inner beings to take a long look at our expectations and seek out the flaws in our belief system (Chiron). Ceres will be there to provide a nurturing touch and help us from getting too discouraged. Forgiveness is a huge part of any healing process as is the need to remain as non-judgmental as possible. Pluto both fuels the need to dig deep and the knife to open old wounds, allowing them to drain. Mars in Virgo is very well suited to going over the details but since it is also exactly inconjunct Uranus in Aries, it will be less patient than usual. Go easy on the criticism – both of yourself and others. For those who have struggled getting motivated due to the Mars-Neptune opposition in play over the past couple of weeks, it is finally beginning to wane. From here forward this energy sapping opposition will be history! On the fire and air side are Mercury in Aries, Venus in Gemini and Saturn in Libra. Mercury has Saturn opposing it and Venus sextile to it, helping us find the tactful thing to say to our nearest and dearest. Jupiter in Taurus is semi-sextile both Mercury and Venus, so ‘over the top’ statements and gestures are likely. For those who prefer to keep things light and cheerful, these are the planets making that possible. There is something for everyone on this wonderful lunation. If you are of a mind to go deep within and meditate on who you are and your place in the greater scheme of Life, this is an excellent time to do so. If your preference is to enjoy the beauties of the season and refresh your spirit in the process, go for it. Tolerance and acceptance of diversity is never out of season or out of style. On a personal note: This is a sixth house-twelfth house lunation for me and consequently I usually end up dwelling on whether or not I’m putting enough into being of service to others. With my natal Mercury and Jupiter catching the most aspects, I’m sure more “stuff” will well up out of the depths to be processed too. Who knows what that will inspire! 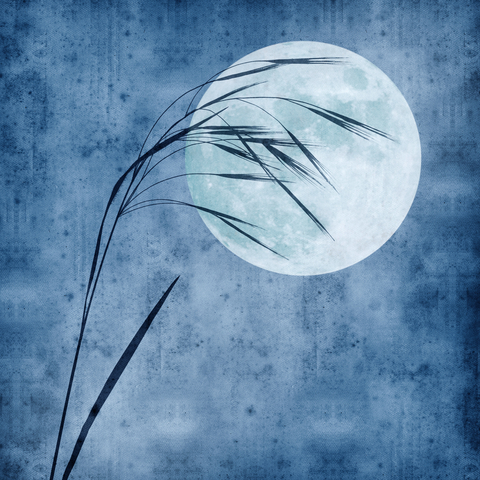 This is always a grounded Full Moon and good for manifesting tangible results. Though the “be careful what you wish for” adage does apply . . . 😀 Good luck!! Yeah, I’m just starting to get some of my mojo back. And the ideas are flowing in again– thank something (!) because I needed to channel some of my anger through another medium/project. I really did, and it’s gonna be brutally honest, too, like everything else. This had to happen. That, and an increase in ‘ballsiness’. Great post, and I love that picture! It is a nice picture, isn’t it? I have found some beauties on Dreamstime. Hmmm Full moon in my 10th house. The day I practice teach yoga as part of yoga school. Perhaps this means I will muster some courage. Work in on my self-esteem yes. Hoping this full moon is an opportunity to release!